A few months ago, I had an eye opening experience at a Children with Diabetes conference: Dr. Ben found a spot in my retina that I have been working to try to revert. 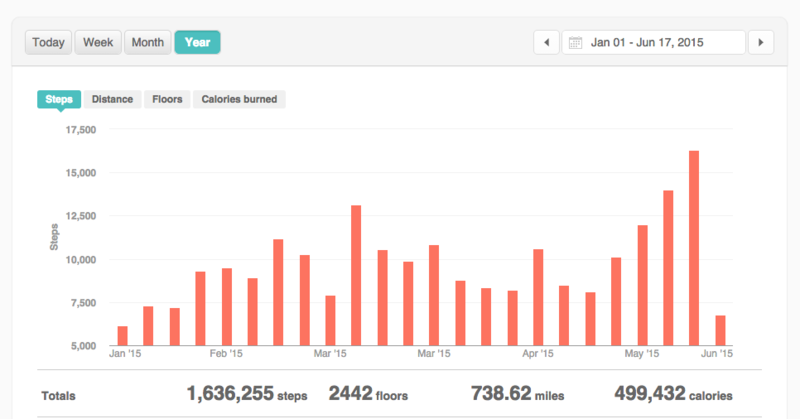 In the course of 2015, I have walked an average of 9,800 steps per day, which would have allowed me to walk all the way down to Los Angeles and back to San Francisco (if I were Forrest Gump), since January 1, 2015. Today, I saw my eye doctor, and he gave me a “clean bill of eye health”. He said he didn’t see ANY trace of the spot that Dr. Ben had identified last year. This is great news, and I wanted to share it with all my friends and colleagues.